So, I took the steroids for four days and I completely flipped out, disappointing a lot of people along the way. All for nothing. There was no chance that taking the medication for only a few days would do anything at all to reverse my self-inflicted hearing loss, considering even with the full course the odds of a measurable positive outcome was slim in the extreme. It was a complete failure. Except when I went to the audiologist to have moulds made for my future hearing aids about two weeks after the steroid drama, a final hearing test was done and to everyone’s amazement it turned out that there had been some improvement. Not in both ears – there was no change at all in my left – but hearing in my right ear was almost exactly back to where it had been back in May! It’s impossible to say if this was down to the steroids or some sort of freak natural reversal, but the tests were clear. Yes, my hearing loss was still severe enough to warrant some serious hearing aids [none of those tiny, invisible, in-the-canal domes for me], but this regain of hearing in my right ear means that a cochlear implant may not become necessary. I felt as if God was smiling at me! [My far wiser friends have since reminded me that God is always smiling at me; I’m just not always all that receptive to it]. About a month later – three weeks ago today, actually – I went back to the audiology department to pick up my brand new hearing aids. The audiologist popped them into my ears, did a bit of fancy-schmanzy computer twiddling and, finally, switched them on. 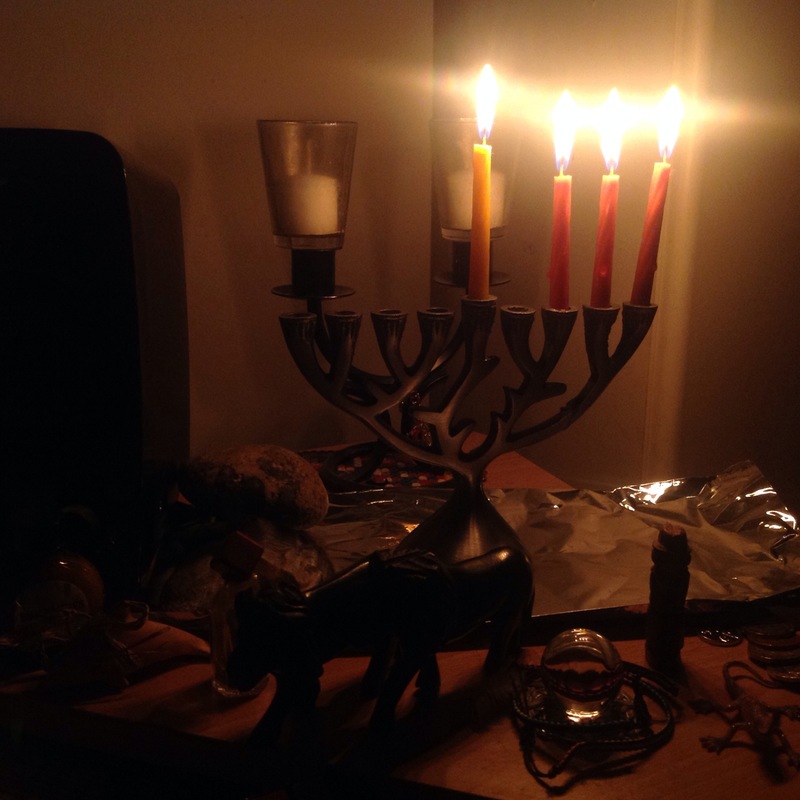 I took a deep breath, mentally recited the shehecheyanu and BANG! – just like that I had Spiderman-like hearing. The most emotional part was hearing the sound of my own voice again. I wasn’t born deaf, so I’ve obviously heard it in the past, but it’s been quite a long time since I’ve been able to hear it. For a long time I’ve only really been able to feel the vibrations of my voice when I speak rather than actually hear it, and it was a pretty overwhelming sensation to hear myself again. It was something of a shock to discover that it didn’t sound at all as I remembered it. It sounded tinny and harsh and extremely loud, reminding me of how it sounded when I as a child would hook my father’s microphones up to the stereo and speak into them. Every time the audiologist asked me a question I had a Cheshire grin on my face, because it was so completely rocking that I was able to actually hear him – even when he was turned away from me! – and every time I answered his questions I jumped at the loudness of my own voice. The audiologist did a bit more twiddling and tested my reaction to him opening and closing doors and windows etc, to see that it wouldn’t be painfully loud. As he put it: ‘It will be annoyingly loud, but it shouldn’t be painful’. There are so many sounds that my brain has not picked up for a very long time, and to the brain any new sound is automatically processed as ‘important – needs to be actively listened to’. I have been told that it will take possibly upwards of three months for my brain to retrain and figure out which sounds are important and which sounds are merely ignorable background noise, because it is in essence rebuilding the sound filtration system from scratch. 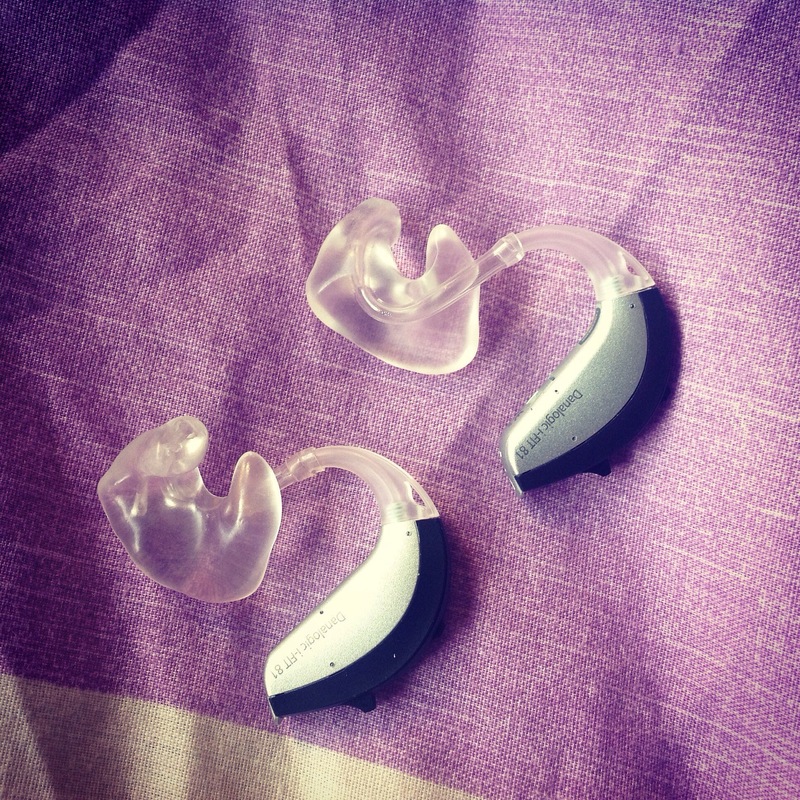 I won’t lie – having the hearing aids is both totally amazing and incredibly difficult. It’s super cool to be able to hear things, but it is also quite disorienting when people walking past my house sound as if they are in my room [not great for someone with PTSD who is already on permanent high alert], and it can be quite tiring when just brushing something off my clothes sounds like a major earthquake. In the first two weeks I found it quite overwhelming and confusing to hear my own voice, because it was still sounding tinny and foreign to me – as if someone else was speaking my thoughts, and I really missed not feeling the vibrations anymore [I suppose by brain was too busy processing the sound of it, to also allow me to experience the physical sensation of it], but now – three weeks into wearing my hearing aids I’ve got used to what my voice sounds like – it no longer sounds distorted – and I can once again feel it in my throat and chest, which is reassuring. A lot of sounds are still very loud: refrigerators, traffic, people coming and going, but I suppose that eventually those sounds will fade into the background. When I first stepped out of the hospital I felt as if the world was assaulting me with its sheer loudness, but, in the midst of sirens and buses and people talking on their mobiles I picked out a sound I hadn’t heard in a very long time: the sound of a bird chirping. I suppose you have to listen out for the really good stuff, in the same way that you have to actively tune in to sense God’s smile..
And the other week, when visiting my sisters, I had ample opportunity to practice this; as annoying as the sound of my sisters’ kids rummaging through boxes of Lego and train tracks was, being able to hear their little voices when they excitedly called out for me made it totally worth it! It was ace! The journey is of course far from over, I’ll have a re-tune of my hearing aids in a few weeks where the volume will be turned up even louder, but all in all, I am really glad that I finally made the decision to do something about my hearing.